AutoDogMug is the first and only travel mug for a dog. The only one-handed dog hydration system. Squeeze and water is delivered in the bowl, release and water returns to the bottle. Fresh water for your dog prevent health issues from public water bowls. The strap becomes a handle for hiking or can attach to a pack. Made in California (USA). Choco Nose H128 Patented No Drip Small Animal Water BottleThe Best Small Pet Water Bottle. No More Messy Pet Crate: Our U.S. Patented Leakproof Nozzle can Prevent Water Leakage Effectively. The Water Nozzle is an eco-friendly idea to reuse the regular PET bottles. Our innovative design allows your pets to enjoy clean and fresh water while keeping your home clean and dry. 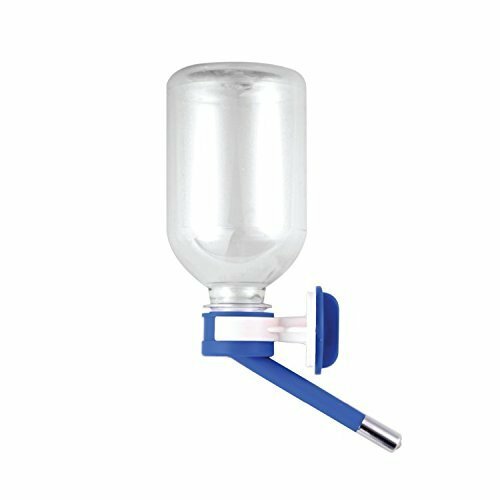 Mini-Sized Nozzle is Recommended for Guinea Pig, Ferret, Hamster, Bunny (Nozzle diameter: 10mm) BPA-Free. Made in Taiwan. **Very Important Product Instruction** - Please train your pet to use the water bottle.- Please check the nozzle daily by tapping the metal ball inside the nozzle to ensure it is functioning properly.- Please tap the metal ball inside the nozzle until water comes out after refill the water bottle. 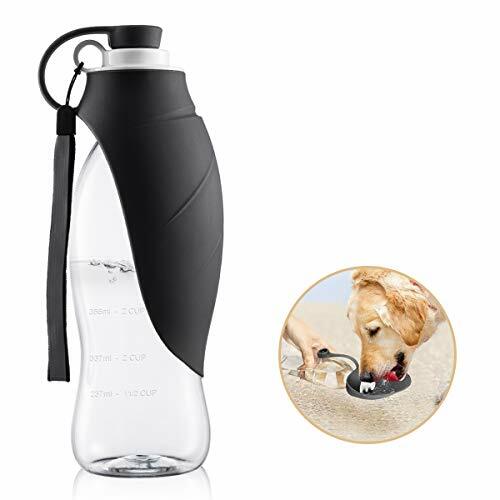 There will be some air bubbles show and the pet water bottle is ready for your beloved pet to use.- Do not squeeze the water bottle under any circumstances.- Do not over tighten the screw-on bracket.- Please rinse or wash the water nozzle to remove dirt or dust at lease once a week. Intended Pet(s): Not only to dogs, but also for small animals such as cats and rabbits. 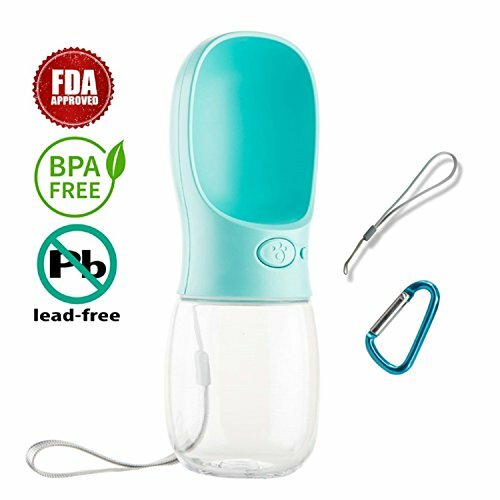 Specification: Cup Material: PC complied with FDA Trough Material: ABS complied with FDA Capacity: 350ml/12oz Bottle Dimension: 8.5*3*3 inch Available Colors: Blue, Pink and White Features: Leak-proof Food grade material, BPA free, FDA approved One hand operation, convenient to use Compact size, reasonable capacity Perfect for taking your dog outdoor walking, hiking, traveling etc One key to open/lock water, no leak and water waste Package Include: 1 x Bottle 1 x Lanyard 1 x D-style buckle 1 x Instructions HOW TO USE 1. Turn the lock key to the right, UNLOCK, Press the water key to fill trough with water. Release the WATER KEY to stop the water. 2. Keep it vertical and press the water key to return the remaining water to the auto dog mug. 3. Finish feeding, turn the LOCK KEY to lock water, keep the dog water cup out of leakage. NOTES 1. 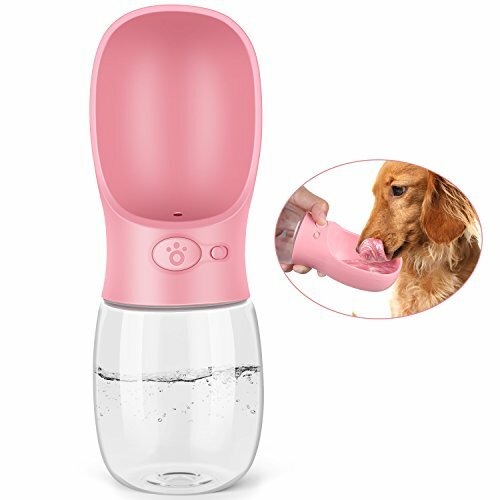 Keep the dog drinking dispenser of hot water over 80°C, Don't wash with dishwasher. 2. Don't put these in the cup: dry ice, chocolate, soda water, milk, etc. 3. Don't push the WATER KEY hard when the lock key is locking, OR it may be broken. As a cherished member of your family, your dog or cat loves to go places with you. 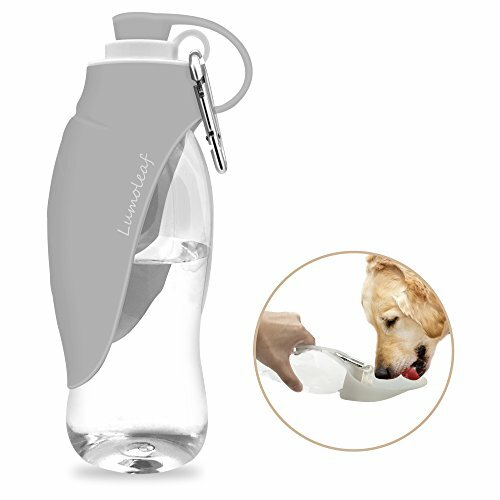 Because a traditional pet water bowl isn’t practical for every situation, we developed the LumoLeaf Pet Water Bottle with the Leaf-shapes Reversible Bowl. The revolutionary silicone leaf fits over the neck of most standard 20-oz water bottles, providing a flexible water bowl during car trips, while at the dog park, and between flights at the airport. 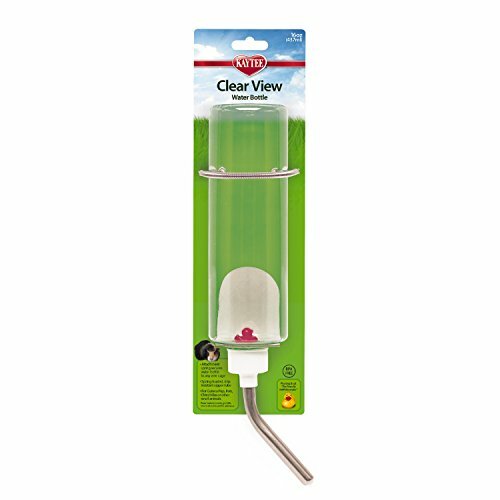 The LumoLeaf Pet Waterer is made of 100% food-grade silicone and contains no toxic BPA or phthalates. By providing your pet with a dedicated water source, you’ll reduce the risk of cross-contamination at public watering facilities and deter your pet from ingesting bacteria in puddles, lakes and streams. To dispense water, simply squeeze the water bottle to propel water through the integrated membrane of the leaf, providing cool refreshment for your pet. The reversible LumoLeaf Waterer features leaf veins that provide strength and stability during use. It clips to the top of most 30mm and 38mm water bottle necks and enfolds the bottle when not in use. The sleek form of the LumoLeaf Water Bottle with Leaf Bowl allows it fit into car and stroller cup holders for easy portability. 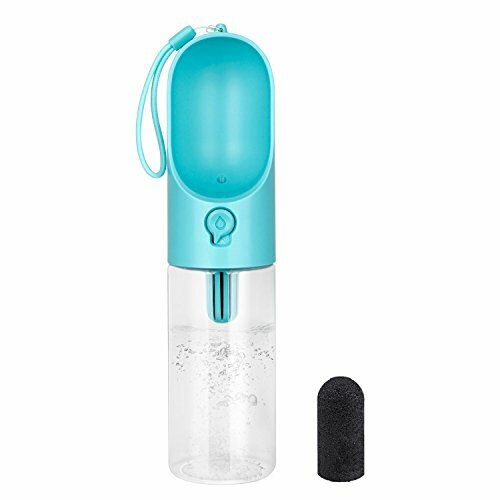 Choco Nose H125 Patented No Drip Small Animal Water Bottle Our U.S Patented Leakproof Nozzle is an idea to reuse the regular PET (Soda) bottles. Our innovative idea allows your pets to enjoy clean and fresh water while keeping your home clean and dry. Features: The Mini-sized nozzle is perfect for small animals, such as hamsters, sugar glider, hedgehogs, rats, miceMade of BPA Free MaterialMade in TaiwanNozzle diameter: 10mm Special Product Instruction Please tap the water nozzle until water comes out after refill the water bottle. There will be some air bubbles show and the pet water bottle is ready to use.Do not squeeze the water bottle under any circumstances.Do not over tighten the screw-on bracket.Please rinse or wash the water nozzle to remove dirt or dust at least once a week. 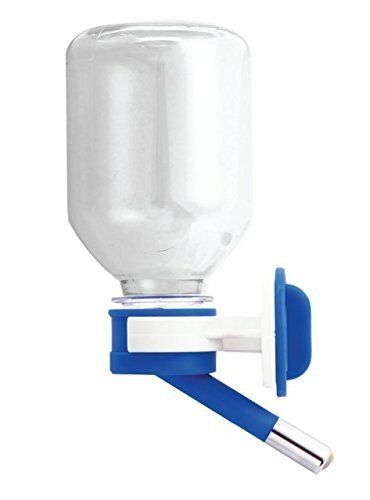 Looking for more Pet Water Bottle similar ideas? Try to explore these searches: Heavy Pearl Earrings, Esprit System, and Fox Attack Jersey. Look at latest related video about Pet Water Bottle. Shopwizion.com is the smartest way for online shopping: compare prices of leading online shops for best deals around the web. 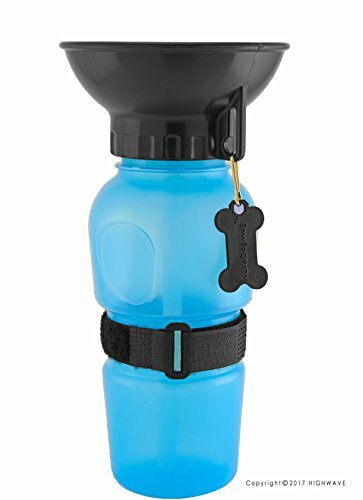 Don't miss TOP Pet Water Bottle deals, updated daily.